Jamie bought Brunson’s Pharmacy in 2013. Jamie received his Doctorate of Pharmacy from the University of South Carolina College of Pharmacy in 2004. He then enrolled at the University of Arkansas-Medical Sciences and received his certification in nuclear pharmacy in 2005. He then spent the next years working nuclear pharmacy and several local retail pharmacies before buying Brunson’s Pharmacy. He is a lifelong resident of Manning. He is married to Amanda C. Mathis, and they have 2 children(Lila Kate and Gavin). He and his family attend Seacoast Church-Manning campus. He has been actively involved in the community for many years and held many positions, including Jr. Chamber treasurer, vice president, president, and adviser. He has served on the Clarendon County Chamber of Commerce board, and served as the Chair of The Taste of Clarendon. He enjoys coaching both his children in their baseball and softball activities, and following and attending all the USC athletics his time allows. 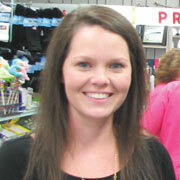 Hallie joined Brunson’s Pharmacy in May of 2016. After graduating from the South Carolina College of Pharmacy in 2011 where she received her doctorate of pharmacy, she worked for several retail chain pharmacies and a compounding pharmacy. Hallie’s love for medicine and science along with a passion to help others led her to the profession of pharmacy. She grew up in Clarendon County and knew she wanted to focus her practice in the community where she lived. Hallie is married to Steven DuBose and has one child named Capers. She attends New Harmony Presbyterian Church where she is actively involved. She enjoys reading, shopping, and sitting on the beach. Tommy grew up in New Zion, SC. Tommy received his Bachelor’s of Science degree in pharmacy from The University of South Carolina in 1967. 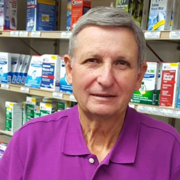 He worked in Turbeville after graduation before moving to Manning and beginning his employment at Brunson’s Pharmacy in 1969. He began buying into Brunson’s Pharmacy in 1970 and remained a partner until 2013. 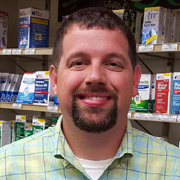 Tommy has spent his entire pharmacy career servicing the people of Clarendon County. Tommy has 2 children, Will and Ginger, and 3 grandchildren, Liza, Kip, and Reese. He and his wife Jane attend Manning United Methodist Church. He enjoys working in his yard and hunting. 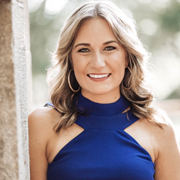 Christine joined Brunson’s Pharmacy after receiving her Doctorate of Pharmacy from the South Carolina College of Pharmacy in August 2018. Throughout her time in school, Christine interned in various locally owned pharmacies in the Moncks Corner and Columbia areas, developing her passion for independent pharmacy. She grew up in Moncks Corner and moved to Clarendon county in 2017 after marrying Turner Brogdon. Christine and Turner attend Graham Baptist Church where they enjoy teaching Sunday School and volunteering wherever needed. Christine enjoys running and spending time with her family and friends.